This paper examines the issues related to developing web applications that use digital media, with particular emphasis on digital video. The nature of digital video brings additional complexity to engineering solutions on the web due to the large data sizes in comparison with text, the temporal nature of video, proprietary data formats, and issues related to separation of functionality between content creation, content indexing with associated metadata, and content delivery. 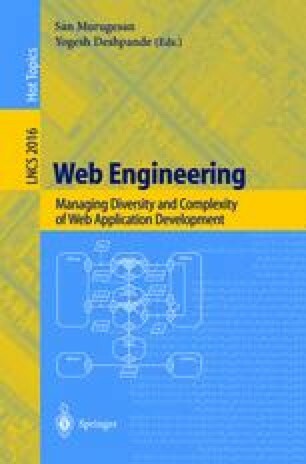 The goal of this paper is to contribute to the understanding of different component technologies involved in deploying video-based web applications, and the tradeoffs involved with each option. As an illustrative example, we describe the requirements leading to the architecture of a video-based web application, CueVideo: a system for search and browse of video and related material. Hoschka, P. (ed.). Synchronized Multimedia Integration Language, World Wide Web Consortium Recommendation. June 1998. URL: http://www.w3/org/TR/REC-smil. RealNetworks, Inc. RealPlayer G2, See URL at: http://www.real.com/products/player/.